With an emphasis on two-year colleges, the Advanced Technological Education (ATE) program focuses on the education of technicians for the high-technology fields that drive our nation's economy. The program involves partnerships between academic institutions and industry to promote improvement in the education of science and engineering technicians at the undergraduate and secondary school levels. The ATE program supports curriculum development; professional development of college faculty and secondary school teachers; career pathways to two-year colleges from secondary schools and from two-year colleges to four-year institutions; and other activities. Another goal is articulation between two-year and four-year programs for K-12 prospective STEM teachers that focus on technological education. The program invites research proposals that advance the knowledge base related to technician education. The ATE program supports proposals in four major tracks: Projects, Small Projects New to ATE, Centers, and Targeted Research on Technician Education. Program Development and Improvement: These projects should increase the relevance of technician education to modern practices and assure an increased number of students with an enhanced STEM theoretical understanding and technical skills and competencies entering the high performance workplace. Proposed activities should produce a coherent sequence of classes, laboratories, and work-based educational experiences that revitalize the learning environment, course content and technical experiences for students preparing to be science and engineering technicians. Employers must be involved, and the resulting program should constitute a model that could be disseminated broadly. The program should lead students to an appropriate associate degree or specific occupational competency or certification, provide business and industry and public sector agencies with a larger pool of skilled technicians, and support student recruitment, retention, and completion of programs. Curriculum and Educational Materials Development: A project may also focus on curriculum and materials development with the intent of nationally disseminating the developed products. Proposed project activities should affect the learning environment, course content, and experience of instruction for students preparing to be science and engineering technicians and for their teachers. Projects develop new print, electronic, and multimedia materials, including simulations, scenarios, and web-based collections as well as laboratory experiments and manuals. It is expected that products will be developed with input from business, industry, and government, validated by experts from these organizations, field tested in diverse locations, and validated in terms of their effectiveness in meeting learning goals. Professional Development for Educators: The ATE program supports projects that provide current secondary school teachers and college faculty with opportunities for continued professional growth in areas that directly impact technician education. These projects should be designed to enhance the educators' disciplinary capabilities, teaching skills, and understanding of current technologies and practices, and employability skills. Activities typically include workshops, intensive seminars, industrial internships, or a combination of these. Such activities typically last from a few days to several weeks and are usually conducted in the summer, with follow-on activities conducted during the academic year. To effect long-term change, workshop participants should demonstrate institutional support. The program particularly encourages activities that involve secondary (grades 7 through 12) school teachers and two-year college faculty working together. Additionally, the program encourages activities that provide pedagogical skills to industry scientists and tradespeople who wish to teach. Evaluation should demonstrate use in the classrooms and sustainable changes in practice of participating faculty and teachers. Changes in student learning outcomes as well as students' perceptions of technical careers should be measured. Leadership Capacity Building for Faculty: The vitality and growth of the ATE community is closely linked to industry trends and needs as well as the acumen of the PIs and their institutions who educate technicians. As such, faculty must: 1) work with their institutional administration, 2) effectively manage both programs and project/center activities, 3) maintain industry connections that include local, statewide, and national economic development efforts, and 4) maintain and cultivate networks with other grantees across funding agencies. Teacher Preparation: The foundation for advanced technological education is grounded in strong mathematics, science, and technology education in K-12 schools. The preparation of future teachers who will facilitate student learning in mathematics and science and cultivate an interest in technological careers is an important component of the ATE program. ATE teacher preparation projects help prepare a future K-12 teaching workforce that is skilled in teaching science and mathematics, understands the technological workplace, and can prepare students to use a variety of approaches to solving real world technology related problems using design processes and principles. Teacher Preparation projects must involve both two-year and four-year institutions and should aim to increase the number, quality, and diversity of prospective K-12 science, mathematics, or technology teachers in pre-service or paraprofessional programs. These projects are expected to improve the prospective teachers' technological understanding; provide them with experiences to use in engaging students in real world technological problems; improve their understanding of the modern workplace; and strengthen their preparation in science and mathematics. These projects are expected to build on the extensive research literature on teacher preparation. The project's evaluation plan must measure the effectiveness of efforts to recruit prospective K-12 teachers, transfer those students into four-year teacher preparation programs, enhance their understanding of advanced technologies used in the workplace, and enhance their ability to improve the technological literacy of their students. Project leaders should also be prepared to contribute to longitudinal studies that track students beyond the grant period, in order to measure the number who graduate with teaching credentials, find positions in K-12 schools, and demonstrate successful performance in the classroom. Business and Entrepreneurial Skills Development for Students: In addition to technical skills and disciplinary content, students entering the industry environment need skills that allow them to understand and work effectively in a business environment. Many companies have a global presence, and students need to understand that the global economy affects them as employees. Another sector of the industry is comprised of small start-up companies, and these have different attributes than large established firms. Students need to understand these attributes and differences to be effective employees. Employers often expect employees to possess knowledge, skills and competencies in a specific technical area and to demonstrate professional, industry related, and entrepreneurship acumen. Entrepreneurship skills can be developed in students in technician education programs by having them take selected business courses, by engaging students in problem-based learning using projects of interest to local industry, working with local economic investment organizations and by developing incubator programs that provide experiences for students to interact with entrepreneurs. Projects are encouraged that: 1) Educate traditional students and returning learners to develop and apply technical, professional, industry-related, and entrepreneurship knowledge, skills, and competencies within the context of a technician education program; 2) Incorporate global issues and international technological and business practices into technical programs; and 3) Introduce technical program students to business plans, marketing strategies, networking and interviewing skills, and characteristics of successful entrepreneurs within the context of the program. Adaptation and Implementation (A&I): This focus area has been designed to increase the pace of innovation diffusion and encourages the use of innovative materials and practices of demonstrated effectiveness in courses and programs. A successful proposal must provide evidence that the innovative materials and practices have been effective at other named institutions and provide realistic implementation plans that explain why the materials and practices are anticipated to be effective for the students enrolled at the applicant's campus. ATE Central may provide important resources to consider for use in this focus area. The outcomes of the adaptation and implementation at a new site must be disseminated to add to the knowledge base relating to the materials and practices. Project scope may range from improvements in an individual course or laboratory to a more comprehensive effort that impacts entire curricula or programs. ATE Coordination Networks: The goal of the ATE coordination networks (ATE-CN) is to advance a field or create new directions in technician education by supporting faculty, industry, and other stakeholders to communicate and coordinate their research, training and educational activities across disciplinary, organizational, geographic and international boundaries. ATE-CN provides opportunities to foster new collaborations, including international partnerships, and address interdisciplinary topics. Innovative ideas for implementing novel networking strategies, collaborative technologies, and adaptation and implementation of industry-relevant curricula and best practices across disciplinary/technical areas are encouraged. ATE-CN awards are not meant to support existing networks; nor are they meant to support the activities of established collaborations. ATE-CN supports the means by which faculty can share information and ideas, foster synthesis and new collaborations, develop common standards or industry-validated certifications, and in other ways advance science and technician education through communication and sharing of ideas. In preparing a proposal for this area it is important to briefly describe existing collaborative networks and then clearly describe the new networks to be developed. Proposals should describe expected outcomes on students in technician education programs as well as impacts on institutions and faculty. Instrumentation Acquisition with curricular modifications to support the instrumentation: This focus area seeks to support existing programs that, in partnership with industry, have identified new instrumentation needs. In addition to justifying the need to update instrumentation, the proposal should clearly describe the curricular modifications that will be developed to support the student gain in knowledge, competencies and skills that relate to the changing technical workplace. It is expected that the industry partner(s) will collaborate with faculty on the new curriculum modules or courses. In addition to instrumentation costs, faculty may request support for developing the supporting materials for inclusion of the instruments in the program. The proposal must demonstrate that the use of this new instrumentation will better prepare students to work in business and industry, and address the numbers of students who will be utilizing the instrument and how the impact on their learning will be assessed. (2) Small Grants for Institutions New to the ATE Program: This category seeks to increase the incentive and opportunity for community colleges that have little or no previous experience with the ATE program to undertake projects to improve science and engineering technician education programs or teacher preparation programs that focus on technological education. This small grants opportunity is designed to stimulate implementation, adaptation, and innovation in all areas supported by the ATE program and to broaden the base of community colleges participating in the program. Proposers are strongly encouraged to utilize resources developed by other ATE or other NSF awardees and to consult with people from these projects and centers. It is expected that some of the funded projects in this category will serve as a prototype or pilot for an idea that may be expanded in a future proposal for an ATE project. The ATE program is particularly interested in projects addressing issues in rural technician education. Develop a realistic plan for achieving sustainability and institutionalization of key center functions following the period of NSF funding. Screen, validate, update, and broadly distribute exemplary materials, curricula, and pedagogical practices adapted or designed by ATE centers and projects and other appropriate sources including supporting the adaptation and implementation at new institutions of these materials. Connect and support project PIs within their technological areas. Center Planning Grants: The ATE program also offers planning grants for centers. These grants will support the procurement of partners for the project, and faculty members from two and four year institutions, industries and agencies. Proposers should be prepared to display their readiness to form an ATE center by the end of the planning period. (4) Targeted Research in Technician Education: The goals of this track are: (a) to simulate and support research on technician education in established and emerging advanced technology fields in STEM, and (b) to build the partnership capacity between 2-year and 4-year institutions and universities to design and conduct research and development projects. Projects must clearly demonstrate partnerships between faculty at 2-yr and 4-yr colleges and universities, and the 2-yr faculty must have leadership roles on all projects. All projects must include a literature review that establishes the basis for the proposed study; a clear description of the alignment of research questions with methodologies. Conferences and Workshops: The ATE program supports a small number of conferences, workshops, and special projects that lead to a better understanding of issues in advanced technological education. It is expected that the conferences and workshops will be outcome based, and that the final report should contain a statement of the impacts of the event. Whenever feasible, projects should utilize and innovatively build upon successful educational materials, courses, curricula, strategies, and methods that have been developed through other ATE grants, as well as other exemplary resources (including those not supported by NSF) that can be adapted to technological education. Proposers should contact the Principal Investigators (PIs) of previously funded projects and centers to explore the possibilities for adapting materials, evaluating materials, receiving guidance, or collaborating in other ways, such as conducting research projects which focus on the effectiveness of technician education. The ATE program encourages proposals from Minority Serving Institutions and other institutions that support the recruitment, retention, and completion of underrepresented students in technician education programs. The ATE program is particularly interested in projects addressing issues in rural technician education and projects that broaden the diversity of the entry-level technical workforce including strategies to recruit veterans into technician education programs. The ATE program does not support projects that focus on students who will become health, veterinary, or medical technicians. Activities may have either a national or a regional focus, but not a purely local one. the installation of equipment or instrumentation (as distinct from the on-site assembly of multi-component instruments--which is an allowable charge). a community college that has not benefited from National Science Foundation grant funding in the past 7 years. recognizes that it needs to develop or strengthen STEM technician education programs to meet industry needs. 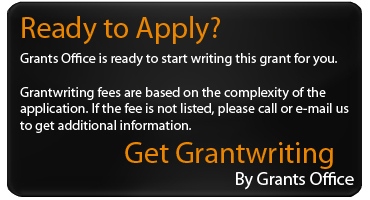 wants assistance in preparing a competitive grant proposal for future ATE program submission. Eligible applicants are universities, colleges, non-profit, non-academic organizations, for-profit organizations, state governments, local governments, and unaffiliated individuals. Two-year colleges and other associate degree-granting institutions are especially encouraged to submit proposals. All proposals are expected to include one or more two-year colleges in leadership roles. Full proposals are to be submitted by October 15, 2018, October 3, 2019 and October 1, 2020. Adaptation and Implementation: approximately 10-15 awards each totaling $300,000 to $400,000 typically spread over two to three years. Instrumentation Acquisition: approximately four awards each totaling $400,000 to $500,000 typically spread over two to three years. Small grants for institutions new to the ATE program: approximately 12-20 awards for up to $225,000 (each) typically spread over three years. It is expected that the budget request will match the scope of the project. Centers - Funding will be $7.5 million spread over five years, with the possibility of a competitive grant renewal for $7.5 million over an additional five years. It is expected that 1-2 awards may be made each year. Resource centers: funding will be $1.65 million spread over three-years with the possibility of a competitive renewal for an additional three-years. It is expected that one to three awards may be made each year. Planning Grants for Centers: one to two new awards for up to $70,000 (each) to develop well-formulated plans for a future center. Targeted Research on Technician Education: up to 5 new awards, ranging from $150,000 total for up to two years to $800,000 total for up to three years. Conferences and Workshops: Budgets for conferences and workshops are expected to be consistent with the duration of the event, and the number of participants, but the cost will normally not exceed a total of $250,000.